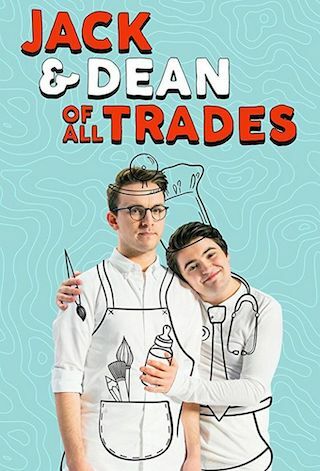 Jack & Dean of All Trades is a 11 minute scripted comedy television series, which kicked off on June 18, 2016, on fullscreen and is broadcast every at . The show is currently in its 2nd season. Jack and Dean are nice normal guys who happen to spend a lot of time imagining weird stuff. Unemployed recent University graduates with a stunning lack of marketable skills, the pair turn to their great hope: a temping agency. As their esoteric and quirky employment agent Marv sets them up with a series of odd jobs, Jack and Dean try their hands as bakers, babysitters, and even morgue attendants. But, it turns out there is no job that they can do without spectacularly disastrous consequences. Unlucky in love and vocations alike, all Jack and Dean seem to have are each other and their wild imaginations. Oh, and there are absolutely going to be musical numbers.